The 2016 Survival Guide is now available! Attending Apogaea takes planning and preparation in order to keep yourself happy and healthy before, during and after the event. Please become familiar with what it takes to be prepared by reading the Survival Guide. 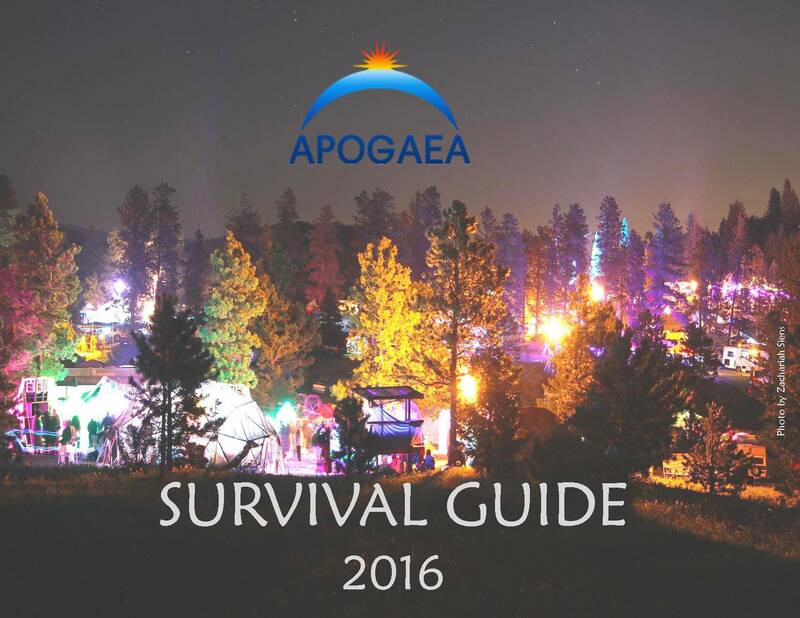 We are on new land this year, so even if you think you know everything there is to know about the Apogaea, read the Survival Guide. A graphics-free version is also available if you need a copy without background art for printing.